1. 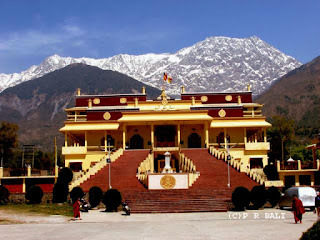 Who’s temporary home, the property title of ‘Gyuto Monastery’ has been transferred in the Himachal Pradesh state government’s name? 2. Which Committee has been constituted to examine the appropriateness of the telecom policies and allocation of spectrum from 2001 to 2009? 4. Who has invented and claimed that he has made a flying car with the help of India’’s first small car, Maruti, which was the star attraction at the Aero India 2011 air show in Bangalore? 5. With which country India proposed a $9 billion ‘revolving fund’ jointly to finance and start implementation of the crucial Delhi Mumbai Industrial corridor (DMIC) link to address the infrastructure concerns? 6. World Philatelic Exhibition Indipex-2011 was held recently in which of the following place? 7. Which among the following is the world’s oldest postal organisation? 8. Which country vetoed a UNSC resolution that would have condemned illegal” Israeli settlements, despite all other states in the 15-member body, including India, voting for it? 9. India signed a comprehensive economic cooperation agreement (CECA) with which of the following country, which gives its doctors,accountants , two-wheelers , cotton garments and basmati rice greater access to its market? 12. In a bid to preserve and promote Tibetan culture, which university is planning to set up a centre for Tibetan studies at Dharamshala? 13. What is the name of the District Collector of Malkangiri district of Orissa, who was abducted and later released by cadres of the Communist Party of India (Maoist) recently? 14. Who among the following has been selected for the Y. Nayudamma Memorial Award for 2010? 15. Which is the largest brackish water lagoon in the country?